6D ATB-1A takes the hit from the outside (click to enlarge). 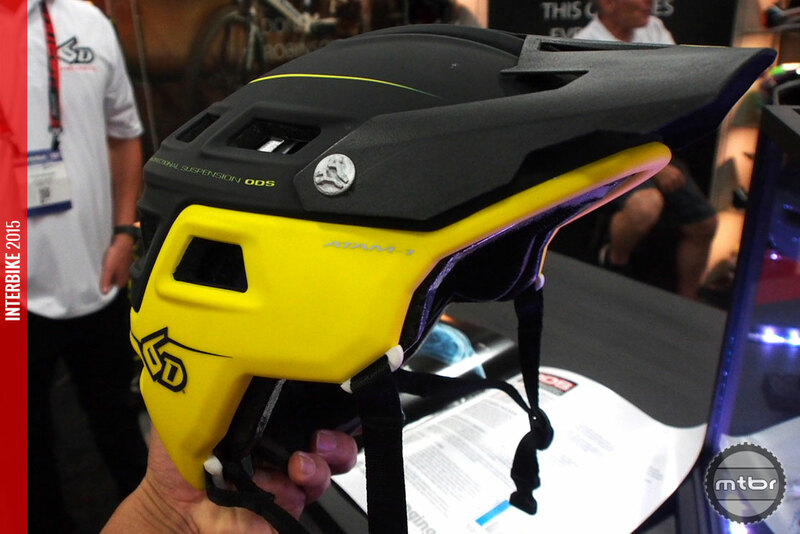 One of the most fascinating products we saw at Interbike was the 6D ATB-1A half-lid helmet. 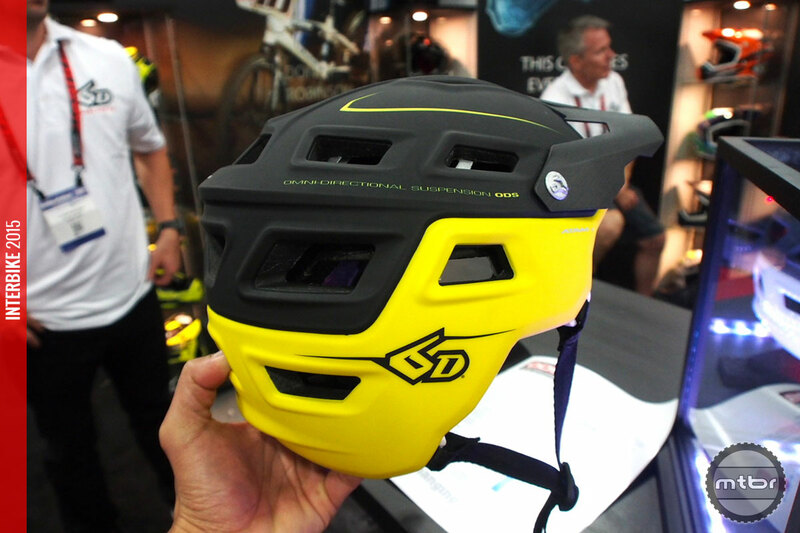 It is a mouthful of product name and not the most imaginative one but it is the newest sibling of the full-face ATB-1 helmet introduced last year. It is a product by scientists and engineers and not just marketing and packaging experts. This video explains the technology in detail. 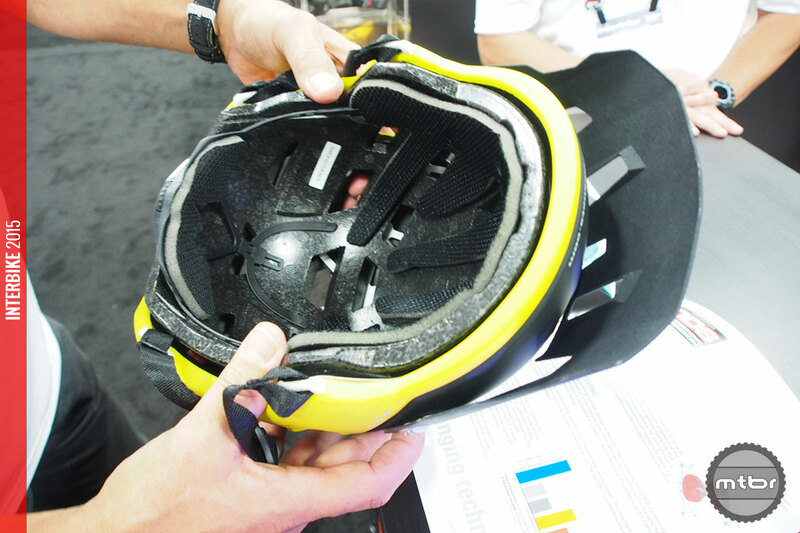 The biggest problem with bike helmets is they’re designed to prevent skull fractures and are only tested to do so. A simple pass/fail is all that’s given and no data about how protective the helmet fares is ever released to the public. So bike companies have little motivation to innovate and evolve. 6D ATB-1A dampers are anchored on both ends yet allow movement with a thinner middle (click to enlarge). 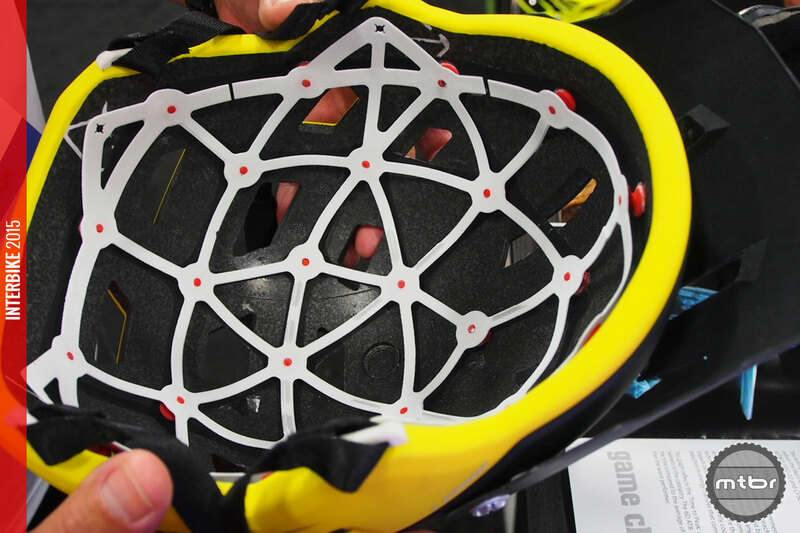 But recently, companies like Kali, MIPS, Smith, and Leatt have moved the needle towards concussion and soft-blow protection as they’ve adopted new technologies to protect the rider. Too many riders suffer blows to the head that leave the helmet undamaged but the rider with a concussion or other head injuries. 6D ATB-1A has good rear coverage (click to enlarge). 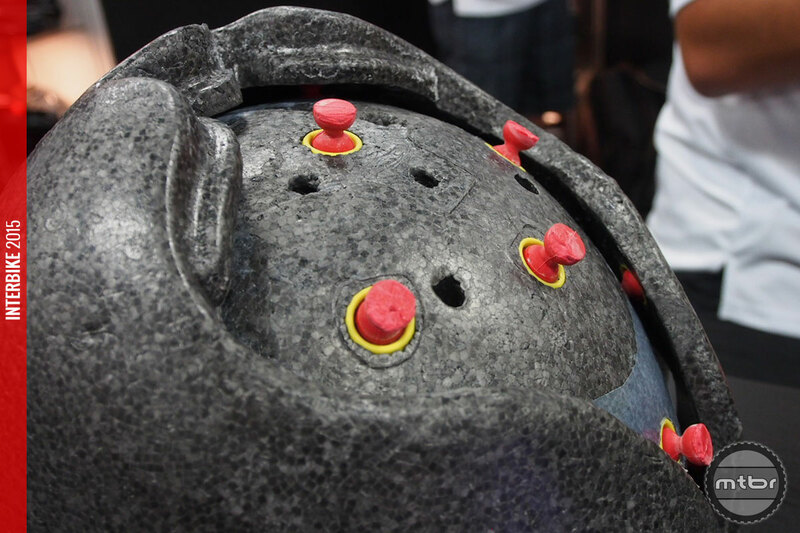 6D has been making waves in the motorcycle world as they’ve come up with technology to dampen the impact by isolating the head from the outside shell with the ODS system. 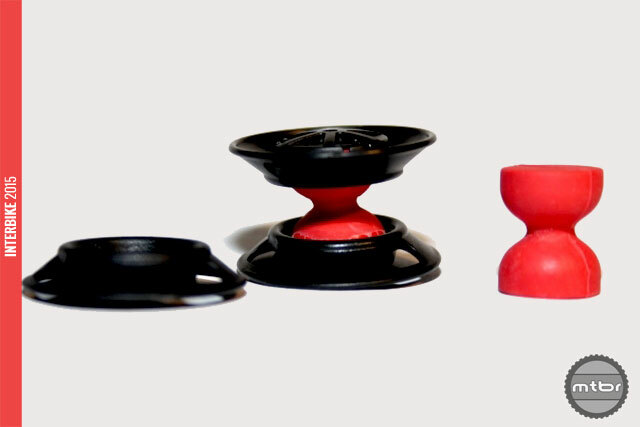 It is a set of dampers that connects an inner shell to an outer shell that allows movement in all directions, including compressive forces. It’s as if the head is floating in a membrane and any outside impact is dampened before the force is transferred to the head. 6D ATB-1A cutaway shows the two shells and isolation ODS system (click to enlarge). 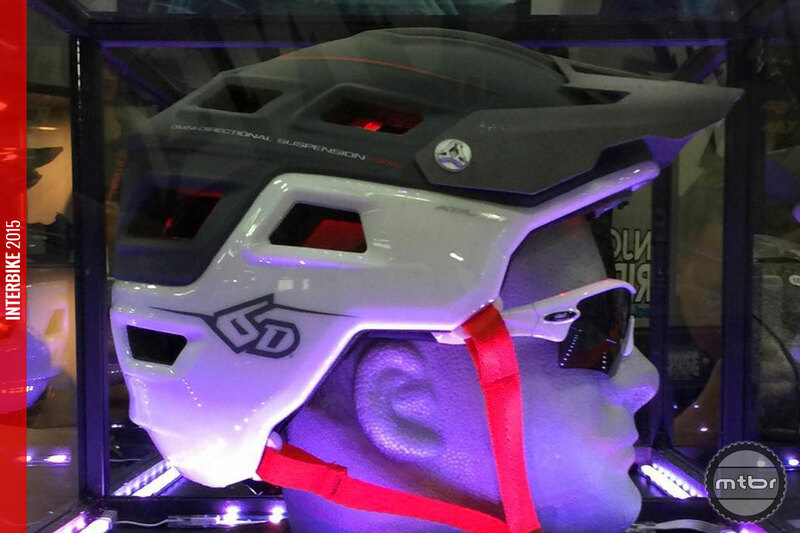 This is exciting news indeed as this the latest in the recent rapid advancements to protect the cyclist from soft blows, rotational forces that are not enough to break the helmet or the skull but are enough to cause brain damage or serious injury. 6D ATB-1A with side coverage (click to enlarge). 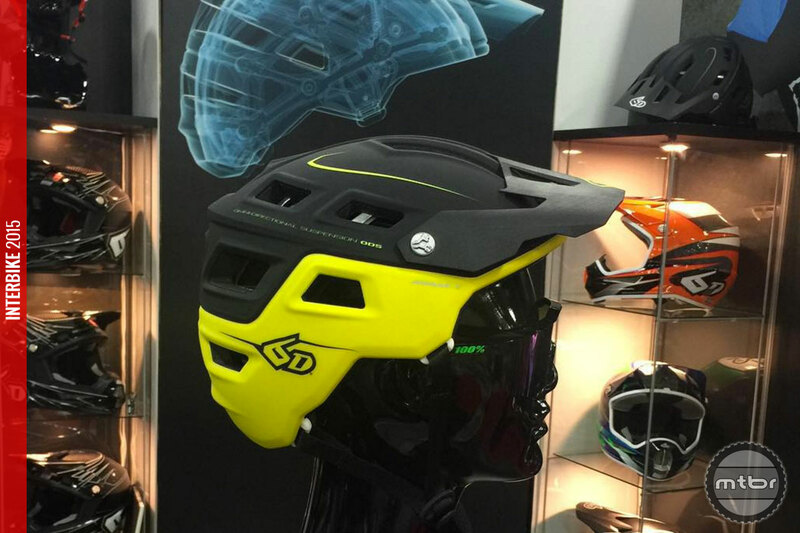 The helmets should be available in February of 2016. They will not be the smallest, lightest and cheapest but they are definitely protective and should advance the category to better head protection against a wider variety of impacts. Trying it out, fit seemed really good for our ‘oval’ type head. Helmet looked a little larger than some medium helmets we normally wear. But it is not obnoxiously large. Styling and colors are attractive and most important, we’re enthusiastic about the added protection. For more information visit www.6dhelmets.com. 6D ATB-1A takes the hit from the outside. 6D ATB-1A inner shell is isolated using the ODS system. 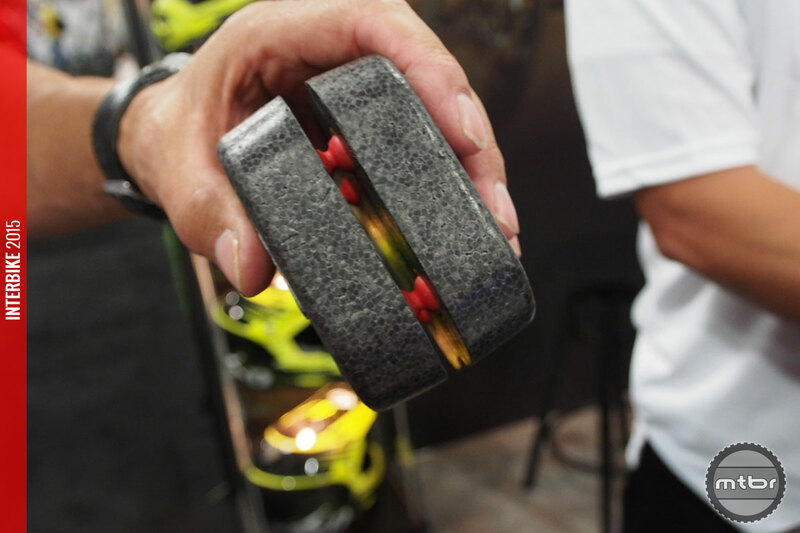 6D ATB-1A dampers are anchored on both ends yet allow movement with a thinner middle. 6D ATB-1A has good rear coverage. 6D ATB-1A cutaway shows the two shells and isolation ODS system. 6D ATB-1A with side coverage. 6D ATB-1A in black and yellow color. 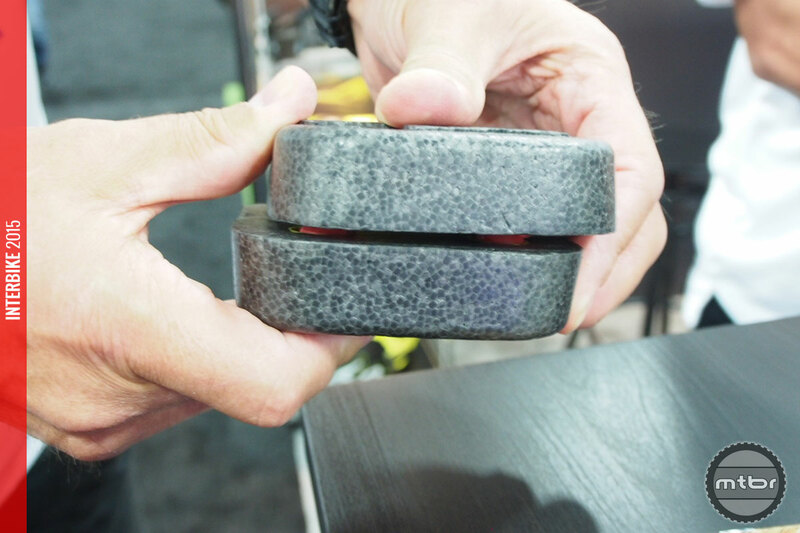 6D ATB-1A ODS demo blocks show how it absorbs compression forces. 6D ATB-1A shows absorption of shearing forces. 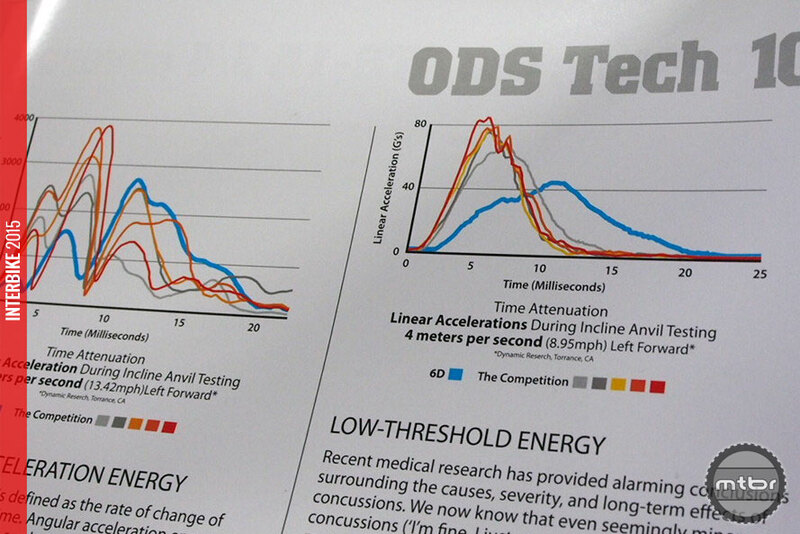 Blue line in graphs shows low energy to head during hard and soft blows.